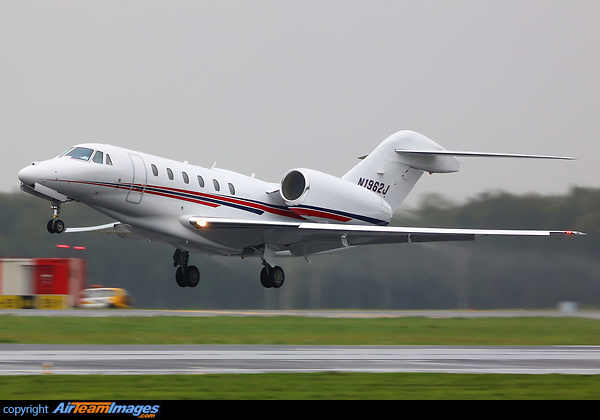 The Cessna Citation X model 750 is a long range twin engined medium cabin business jet aircraft. The 750 is the fastest operative civilian jet with a top speed of Mach 0.92. It features a highly swept supercritical wing. 2 x Allison AE 3007 (6400 - 8917 lbf) turbofan engines. Uses AE3007C1 engines, rated at 6764lb thrust.